In our world where possibilities are endless, we are hardwired to always desire for more. By nature, this denies lasting fulfilment and happiness. Silatha gifts the alternative. Through the unique partnership of the Silatha Dorje jewellery and accompanying Meditation App, ancient Eastern wisdom and meditation practice is transformed for modern, busy lives. A Silatha Journey begins by selecting an inner quality you wish to strengthen, from patience to inner peace, relaxation or transformation, courage to self-control. Nurture this inner strength through the 15 min daily guided meditations and learn techniques to create lasting balance, fulfilment and wellbeing. A Dorje is an ancient symbol used in meditation, revered as a representation of our true nature. Reimagined for Silatha by a jeweller from one of the world’s leading fine jewellery houses. Exquisitely handcrafted in 925 sterling silver and plated in 18-carat white, yellow or rose gold with dual finishes to create a glow that shines from within. 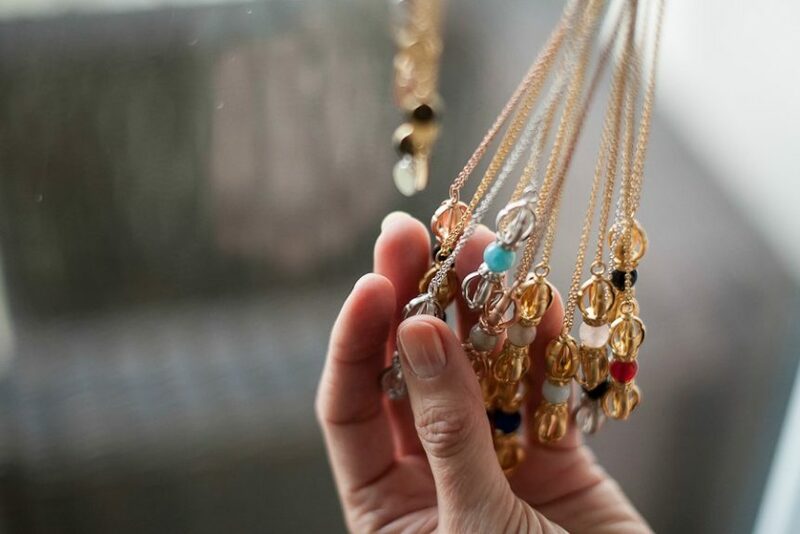 Each Dorje is set with a semi-precious gemstone, chosen for its alignment to the inner quality that will be nurtured through the Silatha Meditation Course. Wear daily, close to the heartbeat, to radiate the energy of your chosen inner quality. With each Silatha Dorje comes an invitation and access code to the accompanying Meditation App. It includes a series of 21 daily guided meditations to nurture your chosen inner quality, with additional silent meditations to extend the journey. Week one introduces simple breathing techniques to focus the mind. Week two and three introduce the four pillars of Silatha Meditation. Non-Attachment brings the power to let go. Self-Mastery gives encouragement to write your own story. Firm-Kindness supports being true to yourself and others. Light-heartedness develops the strength to live with the flow.